We discuss Fear of Flying (Aviophobia), the affect it can have day-to-day, and offer tips to make positive changes and help to cope, overcome and move beyond. Summer Holiday around the Corner? Time to deal with your fear of flying! Today, flying is both the fastest and easiest mode of transport. But many of us are terrorised by the mere thought of boarding a plane. So, how can we deal with this anxiety? Being afraid of flying is a surprisingly common condition which, in today’s highly mobile society, can be truly inconvenient. Although somewhere around 15 000 planes are airborne and safely carrying their passengers to destinations across the world right now, many of us feel sick just thinking about stepping onto a plane. But anxiety should never stand in the way of making the most of our lives. With that in mind, here are some ways to cope with your fear of flying before and during a flight which you might find helpful. Still, you must keep in mind that we’re all different, so you must experiment a little and find the strategy that works best for you. Learn what triggers your particular flight-related anxiety in order to deal with it. Fear of flying aka Aviophobia, is characterised by an often extreme avoidance of planes, or anything associated with flying, including airports, noises and sensations associated with take-off, landing or turbulences. Try to control things by eliminating any related sources of stress as much as possible such as being late and getting stressed out about missing your flight. Prepare as thoroughly as possible, making sure you have plenty of time to get to the airport. Pack your luggage according to airline guidelines and avoid repacking or costly surcharges for overweight suitcases. This might sound like just the opposite of what you should do, but when fear starts to mount, rather than pushing it away, try to accept it – pretending it isn’t there will increase your anxiety. Acting on the physical signs can also trick your mind into feeling more at ease. One way to do this is by learning some mindful breathing exercises by bringing your conscious attention to your body and to how it feels, then focus on breathing normally. As your mind attempts to wander away to fearful scenarios, bring your attention back to your breathing until you become calmer. 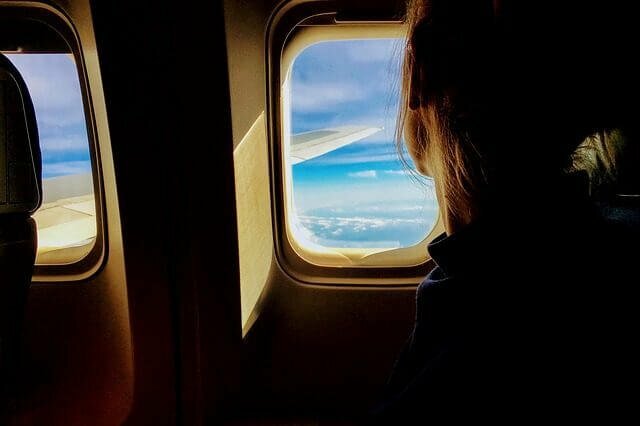 Reminding yourself why you’re on a plane in the first place may help to boost that sense of excitement and the motivation to go through with it. If you’re heading for Summer Holidays, picture all the fun you’ll have at your destination. So, even if you still feel a little shaken from your most recent experience aboard an aeroplane, try not to let it deter you from planning your next flight. Finally, remember that overcoming fear — any fear — is a long and laborious process, and that you will have good times and bad. Enjoy the good, and don’t let the bad take you back to square one. Good News is that there are effective ways of treating Aviophobia. Overcoming a fear of flying takes a lot of courage and practise. But it is possible with appropriate treatment. At Swans Therapy Bournemouth we can help you overcome your fear of flying with the use of Hypnotherapy relatively quickly. Contact us today for an initial chat to learn more about the therapy.